Unless you've been living under a rock the past few days, there is apparently a blizzard of "epic proportions" bearing down on the Northeast. Here in good old RVA, we've been blessed with no pretty, fluffy, white stuff (or not yet, at least), but instead have a crummy, cold, wet day. We live in a place where snow frequently happens to everyone around us, but not actually to us. You can watch the weather report and see the lines of snow curving around Richmond as if there were a "no snow" force field around the city. And that's quite a shame (and sometimes infuriating) because I absolutely love snow. What is winter for, after all, if you can't have a little of the white stuff thrown your way every now and then? Last winter was perfect for that. The Polar Vortex (which is always said with a slightly sinister British accent, by the way) brought us some really great snow fun, which we traded in for feeling like our faces might freeze and fall off. It was a happy trade-off in my estimation. If there's no snow, my southern blood calls out for spring, stat. Enough of the bleak days, the bare tree limbs scratching the dull gray skies while cold seeps into your bones. Give me snow, or give me flowering Dogwoods. I've had enough of the in-between. This is the chili I grew up loving, and I've never served it to anyone who didn't absolutely fall head-over-heels in love with it too. I know my mom got the recipe from her sister's then mother-in-law, but where she got it is a complete mystery. All I know is that it's super simple to make, and incredibly unique. 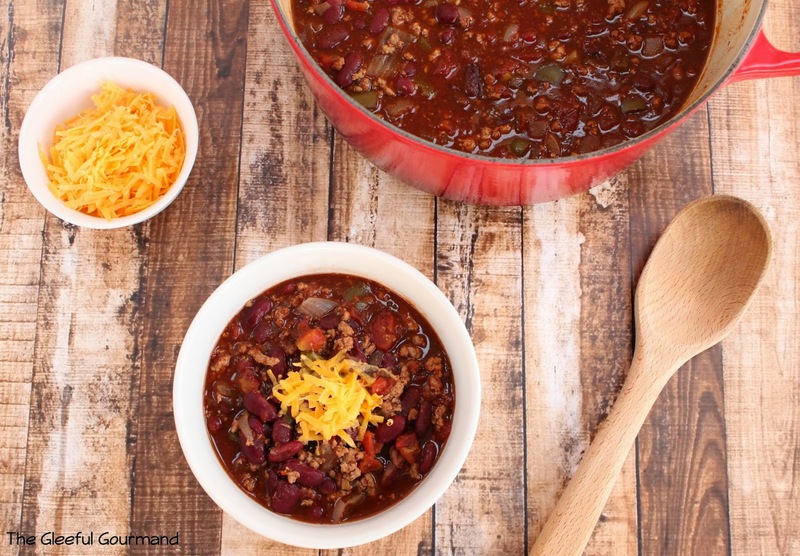 It's everything a good chili should be: warm, spicy, inviting, and hearty. 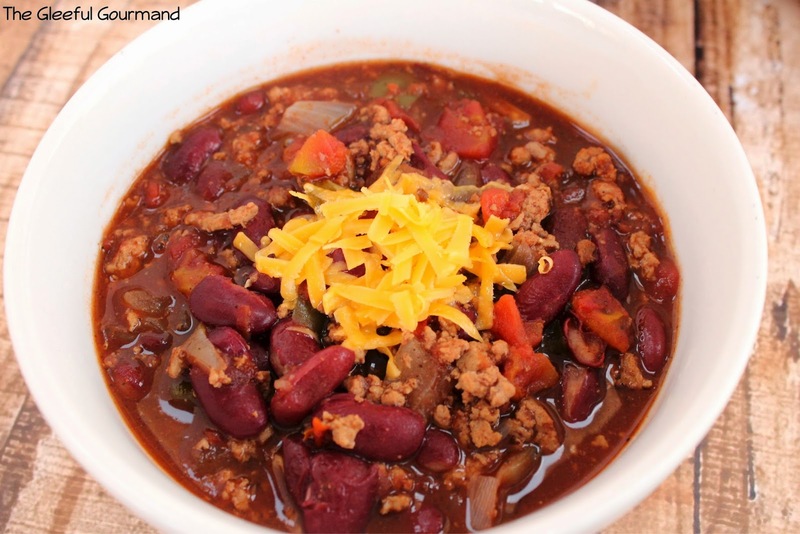 Plus, there's a special ingredient that takes it over the edge of being just good chili to downright sumptuous. Are you ready for the secret? It's a 1/2 teaspoon of ground cloves. Yes. You read that right. I know, you're wondering how it works with that spice, but I'm telling you, the ground cloves send it into orbit. 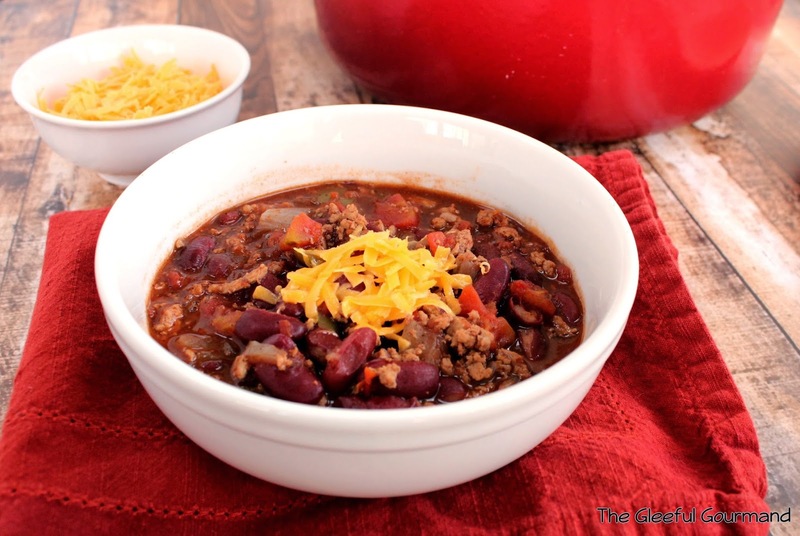 Not only does it smell heavenly, but it gives the chili an unusual, yet comforting taste. You may tempted to change the recipe below, but I'm telling you, rather forcibly, to leave it alone. I have tried to switch the recipe up countless times. Fresh minced garlic instead of powder; a jalapeño or poblano instead of the green pepper. Different beans. No change beats the original, except this: I do switch out ground beef for ground turkey, and it's still just as good! But that's it. No changing anything else, okay? Your guest will be scratching their heads wondering where that wonderful flavor comes from. When I was growing up I remember dressing it up at the table with good, sharp cheddar cheese, big dollops of sour cream, and either shredding sandwich bread into the chili, or crackers. These days, I'm satisfied with just the cheddar cheese, but no chili could ever be complete without cornbread. And the best recipe for cornbread that I've ever made is chef Tyler Brown's Buttermilk Cornbread, which can be found by clicking here. 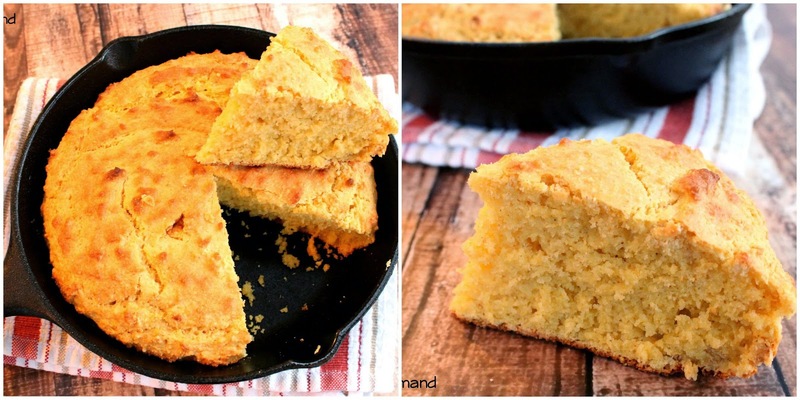 Buttermilk Cornbread, so delicious with chili! So enjoy that snow, stay safe out there, don't get too worked up about "Deflate-Gate," and hey - if you're wondering what to serve for Super Bowl Sunday, you're now one step ahead of the game! Brown the meat in a dutch oven or other good pot over medium-high heat. While browning, season with garlic powder and ground pepper. Drain fat if needed. Add can of tomatoes, and using a potato masher, crush the tomatoes so that most are broken down, but some bits of tomato are still left. Add all the other ingredients, stir, and bring to a gentle boil. Reduce heat, cover with a lid, and let simmer for an hour. Serves 6. Thanks for stopping by! I'm honestly a little afraid to change such a classic dish on my family, but I've been getting lots of great recipes from readers that honestly look inspiring and fun (think adding beer, or 3 meats, etc.). Let me know if you come across one that's truly astounding - I think I'm ready to flex my chili repertoire!